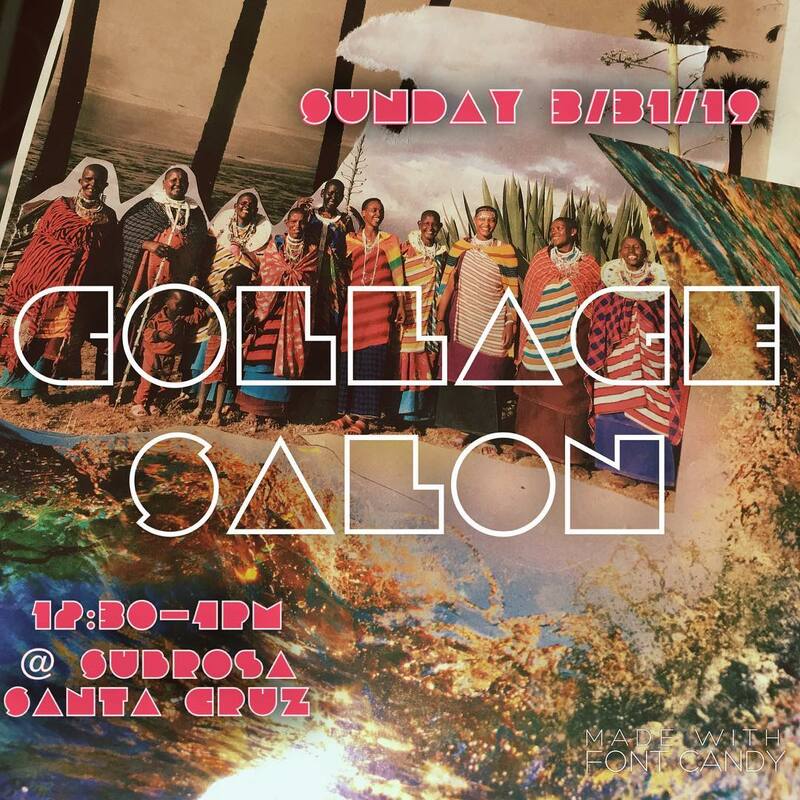 Sun: Collage Salon // Tues: A Show! // and more!!! 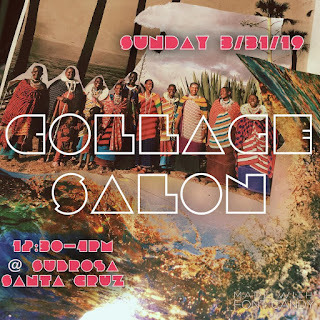 -Sunday, April 21st, 12:30-4pm: Collage Salon Sunday! A dreamy night full of dreamy friends. Saturday, May 4th, 8pm: Byssus --- album release! Under the new moon starlit salty sky Byssus will be releasing their new album into the world. And happening Wednesday May 1st at the Hub!!! 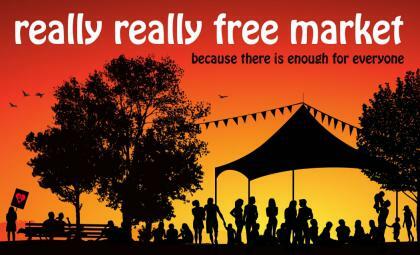 Fri: Art Opening // Sat: Really Free Market (rain postpones) // Mon: & Tues: & Thurs: Shows!!! // And More!!! 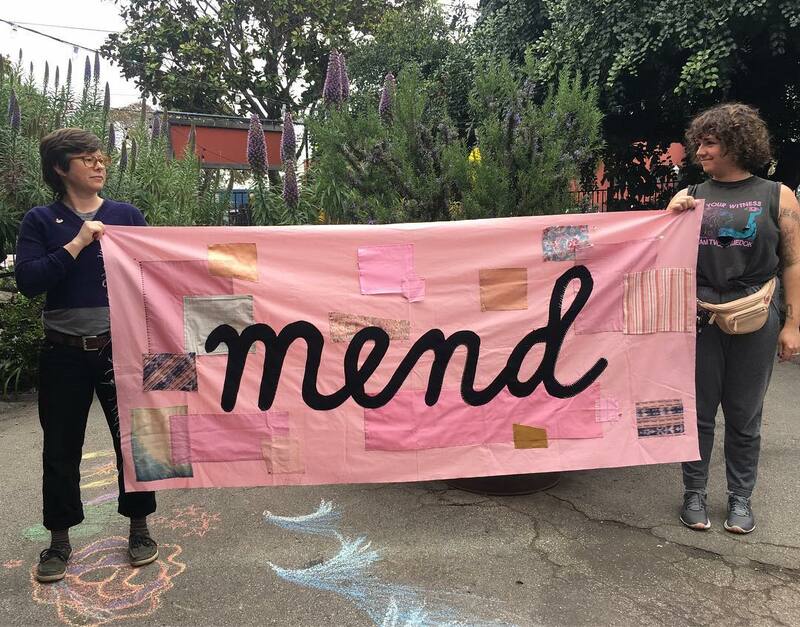 A celebration of the Fábrica Collective's ongoing practice of hosting community banner making workshops and providing material support for other groups to make banners for protests, demonstrations, and other community events. 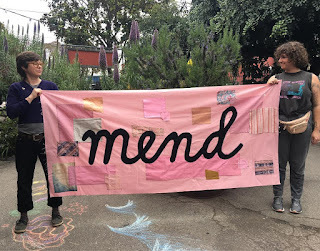 This exhibition will share the significant banner collection we have accumulated since the inception of this series in 2016, documented in an organized, accessible "lending library" catalog, allowing for both the stories connected to these banners, and the banners themselves, to be collectively held. -Monday, April 8th: Distort Show! Also happening at the Hub, in the Sanctuary Santa Cruz office, on Sunday, April 7th, 10am-1pm --- April Tenant Sanctuary Counselor Training! Our first volunteer training was a success, and we have one more training to welcome other interested counselors! Have breakfast with us as we learn the basics of tenants rights and counseling techniques. 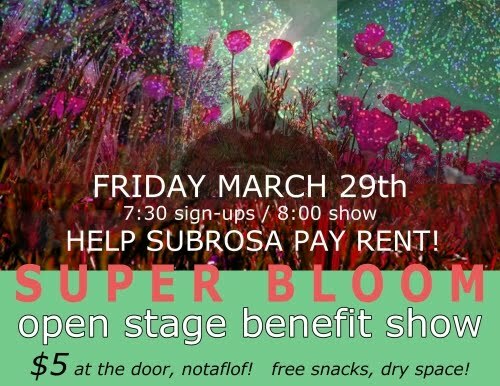 We need your support more than ever as rental issues have skyrocketed in the last few years. Being a tenant counselor can be a great experience for folks interested in going to law school, studying social sciences, or who have experienced tenants rights abuses themselves and want to empower others from that experience. We can provide Spanish translation if requested beforehand. Please email/call us for accommodations or to RSVP at info@tenantsanctuary.org or (831)200-0740. 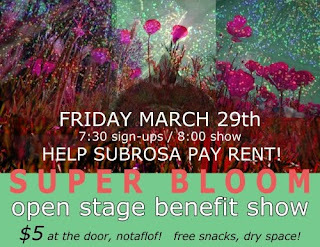 Fri: Open Stage! // Sat: A Show! // Sun: Collage Salon & later Film Screening // Mon: Another Show! // & More!!! -Sunday, March 31st: Two Happenings! < A reminder! Saturday, March 30th, 6 - 10pm at the MAH, DIYine: A Celebration of Homebrewing (a benefit for the Bike Church) // This year the Bike Church is hosting DIYine, a DIY brewing festival. Get a chance to taste all kinds of unique homemade drinks. The event also has hors d'oeuvres and live music, and all proceeds go to support our program.